Steven Oduor Dede a.k.a Dj Shiti alias Magazine is the funniest comedian in Kenya. We, indeed are lucky to have him grace our screens as he brings an authenticity that we cannot deny. A master in his own right, Shiti is funny without trying to be funny. That is the sign of a top comedian. Defined by hardships before his big break, Shiti is the epitome of what it means to hustle, persevere and finally make it. The man clearly enjoys his craft as he belts out accents and vocabulary only unique to him. When you own a brand and play you, then we say you are well on the way of mastering your craft. 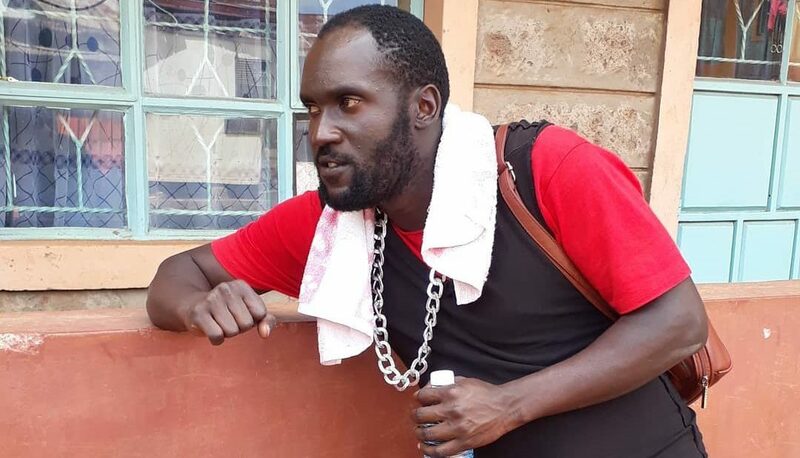 Shiti was born and bred in Mumias and his chance to fame came knocking when he met Jalang'o, who by then, was in the inner circles of Kenyan comedy. After an audition with 100 episodes of Churchill show, the man got his break, though it was still tough for him to adjust to the fast-paced lifestyle of Nairobi. He admits in interviews that he had to seek help from twilight girls to survive and get something to it. It was not always going to be like that. Shiti had a dream, and it came to first step fulfilment when he was cast for The Real Househelps of Kawangware, a TV show in one of the local Kenyan channels. Although he was set to only appear in five episodes, the love he generated in the show's faithful led to the creation of a permanent spot for him. His videos make their way to social media and are shared numerous times, because of that special thing they have: uniqueness. To be a great comedian, you must know your audience and prepare accordingly. He appeals to individuals who can relate to the struggles of an ordinary Kenyan. Just watch his videos and interviews; you will know what I mean. If you are able to think quickly on your feet, you have won. Comedy is hard work. You keep trying even if your audience doesn't get the jokes. For him to get to where he is now, it has taken toil and hours of perfecting his craft. This is perseverance.